Out of all the supplements available, selecting the best multivitamin brands —whether for weight training or general health—is possibly the most challenging. You’re nodding in agreement, right? Not only does it seem like every drug or grocery store aisle has so many of these popular pills, but also their ingredients are so numerous and complicated that it’s difficult to know which is the best. There’s a scary fact too. Insanely, some of these pills could be damaging to the health—possibly even containing ingredients which can be poisonous! The truth is, the best multivitamin brands are safe, can vastly improve your health, and boost training results. I’m going to put you on the right track. This article doesn’t just bring you the best multivitamin brands for both men and women. It also gives you an insight into what these pills contain, their benefits, and how they can improve your bodybuilding results. So, before you randomly pick the first multivitamin tablet you see on the shelf—dive into this article to discover the truth. Sometimes known as vits, multis, multiples or just vitamins, these supplements—usually tablets but sometimes offered in a multivitamin syrup or powder—contain a formulation of vitamins, micronutrients, and minerals designed to improve well-being. The typical multivitamin tablet is formulated to be taken once a day and includes ingredients either close to, or achieving, the recommended daily intake. Sometimes they’re targeted at achieving specific results—for example, to control weight, boost energy or enhance immunity. However, when using these supplements to complement a certain lifestyle—for example, bodybuilding—the DV content may be too great or insufficient for those needs. Although some of the best multivitamin brands often contain unusual ingredients to achieve specific goals—in general, there are a few elements which are found across the most popular supplements. Many of the other purported benefits depend mainly on two factors—the user’s current state of health and the quality of the vitamin. Depending on the diet of the consumer—many of the included vitamins may be unnecessary. If adequate amounts are entering the body through food—the vitamin “overkill” is often passed out through urine. Alternatively, the use of the term “multivitamin” simply means it contains more than one vitamin. This is irrespective of the quality or quantity of the specific vitamins or minerals. This is why it’s always important to ensure you are buying one of the best multivitamin brands. Reducing the chance of cancer, eye issues, and heart disease. Improving the absorption of other important compounds or supplements. Assisting with diet deficiencies—for example, in bodybuilders, vegans or vegetarians. Simple and easy to take. Alleviating the need to consume a multitude of different pills. Taking the best multivitamin brands—and as directed on the label—should result in little, or no, harmful side effects. Just a couple of warnings. Firstly, not following dosage instructions can lead to a vitamin overdose. This depends on the type of vitamins being consumed. Generally, they fall into two categories—water-soluble and fat-soluble. Water-soluble vitamins (such as the B-vitamins and vitamin C) do not present much of an issue. This is because excess amounts can be expelled through urine. However, overdosing on fat-soluble vitamins (i.e. A, D, E, and K) can lead to the body building up large stores—which can become poisonous. Always use one of the best multivitamin brands, as listed here, and follow the instructions on the label. In many cases, most of the ingredients in the best multivitamin for men are the same as that as for women. We’re talking about the B-vitamins for a healthy immune system, lowering cholesterol and reducing the chance of cancers, together with the all-round powerful vitamin C.
However, there are some specific factors to take into account when selecting the best multivitamin brands for men. Firstly, multivitamins that are designed for men can often include lower doses of iron than those designed for women—the requirement is not usually as high, since guys don’t lose valuable stores through menstruation. However, that’s not always applicable to all. For example, bodybuilders, vegans, and vegetarians may need a higher dose than others. Consider this when choosing your supplement. Biotin—to help prevent hair loss. Vitamin E—protects against prostate cancer. The main purpose of the best multivitamin brands for men is to ensure every specific aspect of male health is catered for. Truly the best multivitamin for men on the market. 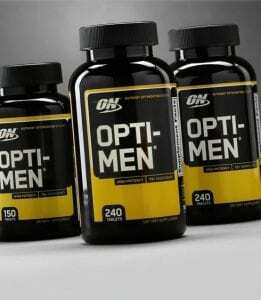 This supplement includes all of the essential vitamins required both for male health listed above and for improved bodybuilding results. It has 12 high-dosed vitamins for essential body nutrition. In addition, there are 13 minerals—including the unusual vanadium—perfect for training enhancement. Furthermore, it contains the awesome testosterone boosting power of zinc and is packed full of muscle building iron. All the key ingredients are quantified—no proprietary blends here! 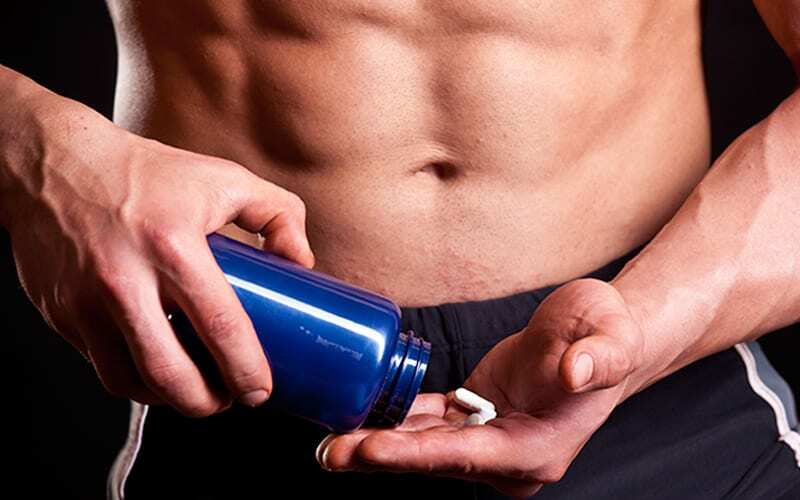 The ideal supplement for male bodybuilders and athletes. In short, the best multivitamin 2018. Take one capsule every day with food or drink. This supplement is only available on the Battle Ready Fuel website. It’s priced at $44.99 for 30 tablets (1 month supply). Amino blend—to help build muscle. 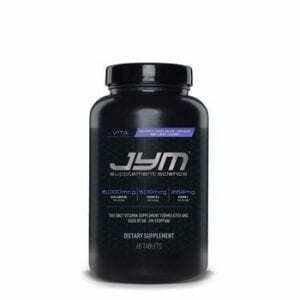 Enzyme blend—assists with fat burning. Phyto blend—containing fruit and vegetable concentrates. The supplement supplies over 75 different ingredients. While designed for the active person—it’s slightly let down by the proprietary blends which are not quantified. Therefore, it just misses out on being the best multivitamin for men 2018. Consume 3 tablets daily, alongside food. This supplement is available in 90, 150 and 240 bottle sizes. It retails at $17.99 for 90 pills (one month supply) and is available from the official Optimum Nutrition website, iHerb, Amazon, and eBay. 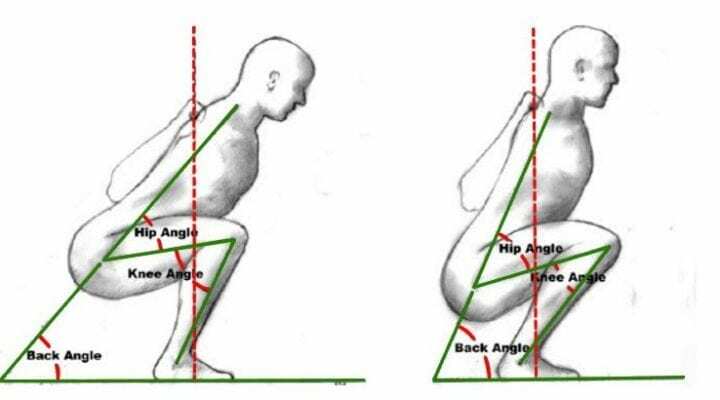 Designed more for the male athlete than the bodybuilder. It’s ideal for those who struggle with recovery and muscle repair. The 24 active ingredients in the formulation boost the body’s natural healing process. Each ingredient is broken down, with no fillers or proprietary blends. One of the best multivitamins brands, although not ideal as the best multivitamin bodybuilding supplement. Take two tablets every day with both water and food—breakfast time is recommended. To get your hands on this multivitamin, you can obtain it from GNC, Amazon, and eBay. One bottle of 60 tablets (1 months’ supply) currently costs $17.49. Having been around for more than 30 years, this is probably one of the oldest multivitamin supplements for bodybuilders on the market. In fact, it’s more than that—it’s a complete complex, including ingredients to aid digestion, improve performance, build muscle and cleanse the body. It contains over 75 ingredients, none of which are in proprietary blends—although the efficacy of some is debatable. Not the best multivitamin for men. In powder form, this supplement is available in three flavors. Consume one or two packs per day. The first one to be taken with water at breakfast time, the other 4–12 hours later. This multivitamin can be purchased from Amazon, GNC, iHerb, and the VitaminShoppe. It’s priced at $28.95 for 44 packets (22/44 days’ supply, dependent on usage). With a focus on eye, immune system, heart, and bone health, this could be considered the best multivitamin for seniors. Manufactured in the USA, this multivitamin supplement is gluten-free and vegetarian-friendly. Easy-to-swallow capsules. Two capsules should be taken daily in conjunction with food. This multivitamin for men can be obtained from the Evlution Nutrition website, Amazon, iHerb, and Walmart. It’s available in both 60 and 120 capsule counts (one and two months’ supply)—priced at $14.99 and $19.99 respectively. As mentioned earlier, many of the important ingredients in the best multivitamin brands for women are the same as that for the guys. However, there are some specific compounds that many of these supplements include which are important for the female body. With its formulation of 25 ingredients, including all the powerful female-centric elements listed above, this has to be the best multivitamin for women. Don’t just assume that this is a product designed for the female athlete or bodybuilder—although its potency will yield impressive training results. For the more sedentary woman, this supplement is ideal—improving energy reserves, boosting iron, strengthening bones and increasing mood. This is due to the excellent B-vitamin formulation and iron content. One capsule should be taken every day with food. 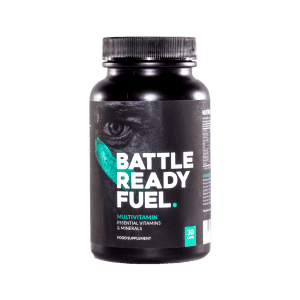 Priced at $44.99, this supplement can only be purchased from the Battle Ready Fuel website. It includes 30 tablets (1 month supply). Designed for more mature women, this multivitamin contains some excellent compounds angled at female well-being and energy. Unfortunately, it just misses out on being the best multivitamin for women. Consume two capsules per day with food. This female multivitamin is available from the Optimum Nutrition website, Amazon, iHerb, and GNC. It costs $14.99 for 60 capsules (one month supply). Not just a supplement for the guys, this multivitamin is equally impressive for the girls—making it one of the best multivitamin for women. Included in its 24-ingredient complex are some of the most essential vitamins for the female athlete—who demand to be on top of their game. Including a potent dosage of folic acid, this supplement not only benefits athletes, but also helps women during pregnancy. Two tablets should be taken every day with both water and food—breakfast being the ideal time. This multivitamin is available from Amazon, GNC, and eBay. A bottle of 60 pills (1 month supply) costs $17.49. A total of 24 active ingredients are combined with three proprietary blends making it one of the best multivitamins for women of all ages—whether active or more sedentary. Vitamin D—for both its bone and breast health benefits. Iron—to replace what’s lost through menstruation. Vitamin B12—to boost energy and protect nerve cells. Ginger and bacillus coagulans—to deal with troublesome female digestion. In addition, the inclusion of organic spirulina, dong quai, and red clover, help to alleviate stress symptoms and redress hormonal imbalances. Consume one tablet per day with food. This supplement is available from the Rainbow Light website, Amazon, Walgreens, iHerb, and Target. It costs $17.99 for 30 capsules (1 month supply). An impressive formulation for ladies of a more mature age. The 19-ingredient formulation is supplemented with two bespoke blends, giving the older person more energy, vitality, and lust for life. Wild Yam—thought to reduce cramps, vaginal dryness and boost libido. This is in addition to the B-vitamin complex, which raises energy while improving eye, bone and heart health. 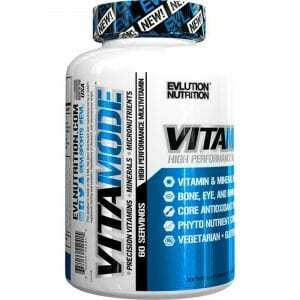 This multivitamin can be purchased from the Evlution Nutrition website, iHerb, Walmart and Amazon. Available in 60 and 120 tablet bottles (one and two months’ supply). It’s priced at $14.99 and $19.99. First and foremost, multivitamins were designed to ensure that guys and girls receive all the nutrients they need for a healthy body. As a bodybuilder, in addition to being an absolute beast in the gym, you watch your diet. Fat, calorie, carb, and protein intake are all carefully monitored. I eat healthily! Why the hell do I need multivitamin bodybuilding supplements? Well, as a bodybuilder, you’re probably in more need of multivitamins than most. Firstly, this is because your muscle mass-centric diet often omits key nutrients found in the foods you are avoiding. Thirdly, many of the B-vitamins promote absorption of other nutrients—especially amino acids. So, if you’re already supplementing with whey protein or BCAAs—their efficacy will be heightened by consuming one of the best multivitamin brands. For starters, always take the vitamin supplement as per the manufacturer’s label instructions. This will prevent any chance of overdosing. Multivitamins should, in general, be taken daily, with food, and at the same time each day. This means your nutrient levels will remain high, with the food helping to increase absorption rates. The best multivitamin brands are not only essential for everyday health, but can also make an important contribution to increase your training returns. All the above supplements, both for men and women, target specific aspects of the body’s requirements, while boosting results. Always ensure you choose a reputable brand, to eliminate the risk of underdosing, overdose or poisoning. The best way to do this is to select the overall best multi for men and women—the Battle Ready Fuel multivitamin. Multivitamins ensure that you have all the essential vitamins and nutrients your body requires, which may not be supplied through diet alone. This leads to numerous multivitamin benefits including incredible all-around health improvement as well as raising bodybuilding and athletic training results. As many vitamins are fat soluble, it’s best to take them with meals, once a day—every day. The actual vitamins will be absorbed by the intestine within two to four hours. How fast they act depends on the current level of vitamins and nutrients in the body. Generally, it takes between one and two weeks to see and feel results. As long as you select one of the best multivitamin brands, and follow the directions for use on the label, there’s little chance of developing any multivitamin side effects. Always follow the instructions for use as outlined on the product label. Usually, most multivitamins are designed to be taken every day.